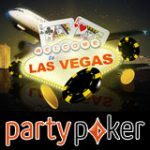 PokerStars players can win their seat to the 2010 World Series of Poker by entering the WSOP satellites and qualifying step tournaments which start from as little as 3 FPP. 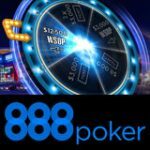 Win a WSOP main event prize package worth $12,000 plus additional prizes for cashing or winning the main event. 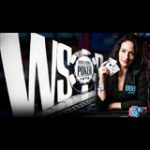 Qualify for your seat to the 2010 WSOP with Poker Stars, there are several ways which online poker players can win their main event seat this year. 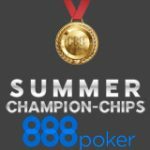 WSOP satellite tournaments where you can buy-in with cash or your Frequent Player Points FPP. There are also PokerStars WSOP step tournaments where you can start playing for your seat for as little as 3 FPP. Play your way to the 2010 WorldSeriesofPoker starting from 3 FPP in the Poker Stars WSOP step tournaments. 8 nights hotel accommodation $1,000. 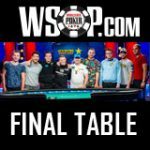 Players who win their seat to the 2010 WSOP through PokerStars satellites and agree to wearing Poker Stars clothing while playing the main event, will qualify for some additional bonuses. World Series of Poker and WSOP are trademarks of Harrah's License Company, LLC ("Harrah's"). Harrah's does not sponsor or endorse, and is not associated or affiliated with PokerStars or WinAllPoker and the poker promotions or online tournaments.